Come see our wonderful Gifted Magnet Program! GMP is an acronym for D-11’s Gifted Magnet Program. Our program combines multiple disciplines wherever possible, resulting in differentiation that is less teacher-centered than the traditional classroom. We carry this out in a “working lab” type atmosphere, similar to settings that adults might work in. What’s the history of the program? Our current GMP program came out of the HATC (Highly Academic and Talented Children) Program offered for fifth and sixth-graders at Stratton Elementary since the 1950’s. In the early 1990’s, when sixth grade became part of middle schools, HATC classes were reincorporated as the SAIL Program, with fourth and fifth grades at Stratton and grades 6-7-8 at Irving MS. The following year West MS became our second 6-7-8 site for SAIL. A few years ago Sabin MS took the place of the Irving location. We’re proud to be quite possibly the oldest gifted magnet program in the state of Colorado! Who is eligible for the GMP? Any student identified as gifted and talented in District Eleven may apply for the GMP Program. Students may apply for third, fourth, and fifth grade GMP while in grades two, three and four. Any child outside of the district (including those currently in home school) is eligible to complete an application for GMP. The application process looks at a variety of indicators that help us determine which students would be best suited to the GMP Program. What’s the difference between GMP and the regular classroom? The goal of any gifted magnet school is to deliver instruction in a qualitatively different way than how students receive instruction in a mixed ability classroom. Both settings teach the same material (as set forth by both Colorado state and Common Core Standards), but the curriculum is often taken to a deeper and broader level of discussion and understanding in magnet classrooms. Secondly, best practices from the field of gifted education are incorporated into the structure of the program. What are “best practices” in the field of gifted education? GMP teachers deliberately incorporate curriculum plans developed by leading experts in the field of gifted education. For instance, George Betts and his Autonomous Learner Model are world-renowned amongst g/t educators. We use his helpful ideas as suggestions for students as they research in-depth and explore mentorships. We use material from other experts to teach additional important concepts, such as complexity and elaboration in the creative production process, and also address the affective needs of gifted children (an important concept for them to know about). Are GMP class sizes different from the regular classroom? Classes are similar in size to other 3rd, 4th, & 5th grade classes in the district. What is the curriculum like in GMP? Many interdisciplinary projects (where content crosses into a variety of subject areas, i.e., math, science & writing) are assigned throughout the school year. Students work amongst a peer group of gifted and talented classmates. Because GMP students are highly capable, the class tends to move along through topics at a faster pace, going more in-depth in some topics, while stretching a student’s complexity of thought. Time is also spent helping the students understand their exceptional learning talents. How much homework will I have in GMP? Homework is assigned to increase student achievement through extension of content or practice of critical skills needed within a discipline. The bulk of student work is expected to be completed in school. Adequate class time is given for most of our projects. Some students choose to spend more time looking into areas of their own special interest, but generally homework shouldn’t be more than 30 minutes a night. This will vary based on use of class time (since projects are mainly researched and constructed during class time) and the individual speed of each child. Where is the Elementary GMP Program located? Stratton Elementary houses a 3rd, a 4th, and a 5th grade GMP classrooms. This allows us to serve a total of about 25 students per grade level in our elementary Gifted Magnet Program. Is transportation provided for a child to attend a GMP program? No. Transportation is the responsibility of each GMP family. Many have found success with carpools. GMP students come from all over Colorado Springs, so carpools are often easily put together at our first getting-acquainted social in August. Is there a cost to be in the GMP Program? Nothing beyond regular school costs for field trips, band, orchestra, etc. How do I apply for GMP? Applications are available online, at the GT Office, and at Stratton Elementary. Sections of the application are completed by a variety of stakeholders. Students may visit Stratton at any point in the process. Please call the school to arrange your own “shadow” time with the GMP teacher. Applications are due to Stratton or the GT Office when complete. Applications are rolling and families will be notified upon acceptance. Click here to get to application online. For more details about District 11 Gifted Magnet Program click here. Meet Stratton's wonderful Gifted Magnet teachers. Jessica Gilliam has a passion for teaching gifted students. A teacher of more than twenty years, her experience in education has been diverse and creative. From small, private schools to large, inner-city districts, her combined experience base has afforded her opportunities to explore the many possibilities of developing a hands-on, inquiry based learning environment. Teaching third grade in the Gifted Magnet Program is a unique challenge, offering space to grow professionally in new and exciting ways! Mrs. Gilliam earned her MA Ed from University of Texas and her state endorsement in Gifted Education. 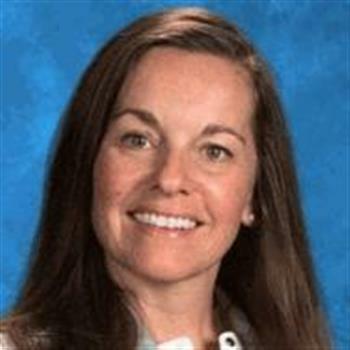 In her free time, Mrs. Gilliam enjoys reading, cooking, and all things “Colorado”: hiking, trail running, white water rafting, skiing, and exploring the beautiful outdoors with her family. The mom of two gifted children and the wife of a high school teacher and coach, the world of education – and especially gifted education – is truly central to her life. George Hoepfner has been teaching gifted children for nearly fifteen years and it is simply his calling in life. He loves his job! 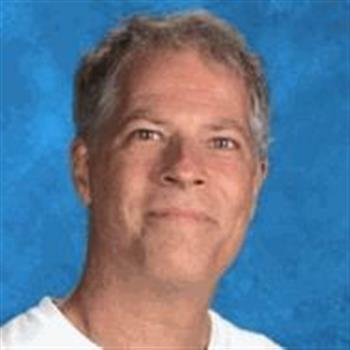 Both of his adult children were identified as gifted in elementary school, and when Mr. Hoepfner realized that he felt a strong connection with the gifted students in his regular education classrooms, he just knew that he had to become involved in the field of gifted education. So, he went right out and got his endorsement in that field, and he's been teaching gifted kids ever since. He has a bachelor's and master's degree in engineering (another life) but his heart is in the classroom. It's more challenging! George loves his family, the outdoors, reading, music, poetry, and he even writes books for a hobby. And, of course, he loves teaching gifted children. Nancy Law knew when she was in her twenties that she wanted to learn more about gifted children and how to help them reach their potential. 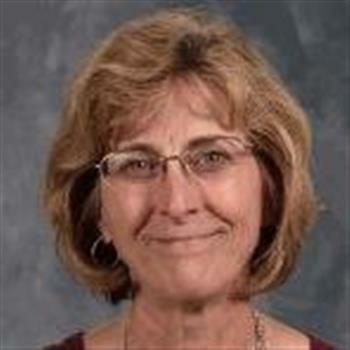 Thirty years later, Mrs. Law is still pursuing that passion as the 5th grade Gifted Magnet Program teacher. In addition to being a mother of three GT kids, Nancy also holds a master’s degree from the University of Colorado in Gifted and Talented Curriculum and Instruction. Mrs. Law loves teaching gifted fifth graders because “they’re still young enough to be playful and open to so many new ideas”, but old enough to “think in abstract terms.” When not teaching in the GMP, Mrs. Law loves to spend time with her family, reading, hiking, and sometimes-even ballroom dancing with Mr. Law!